I noticed when I posted the picture of my friend Michelle a few days ago that Makenzie has grown up SO much! So tonight I decided I wanted to post a picture of Makenzie from the beginning... or as close to the beginning... after her accident...as I could find. I choose not to take pictures of Makenzie in the hospital because I really wasn't sure what was to come and I didn't want "those pictures" to be the last memories I had. So I took none. 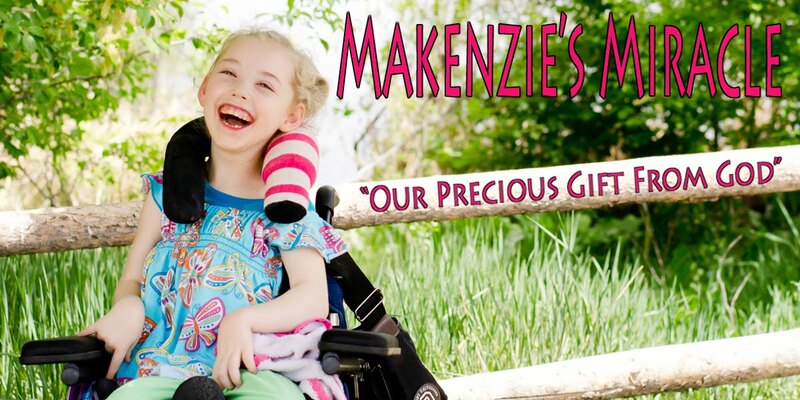 The written record of the first time Makenzie giggled after her accident! AMAZING! I couldn't find the first smile though. I know it is somewhere! Maybe lost in my archives of Myspace. The first video we got of her giggling! Makenzie has come SO very far!!! Please keep praying for healing! I really want to pray for you and your family. It won't be much...but I'll do it with my heart. I took no pics of Julia either the first time she was hospitalized - didn't want the memories if she would have died. I do wish I would have done more videos (any videos) to compare where she was to where she is. Kenzie is awesome and you are doing great things for her!